If you got here, you probably already believe that Gen IV nuclear reactors can’t melt down, consume nuclear waste, and emit zero CO2. Whether you think climate change will kill us all in 12 years or think the whole “global warming” thing is a Communist plot, you agree that a #GreenNuclearDeal is the common sense solution. So how can you help? First, look at the following list and choose the category that best describes you. Click the hyperlink, read it carefully, and make the world a better place! Bonus–if you are one of the activists who keeps promoting the message, you won’t have less than 100 followers for long! So keep reading. The “Green New Deal” spends up to $93T and does nothing that directly helps poor people around the world. By contrast, the #GreenNuclearDeal could include a “Green Marshall Plan” that puts Gen IV reactors on board ships and stations them in safe harbors in the developing world. The US can pay for this by imposing a “carbon tariff” on big economies that could decarbonize (but won’t) in order to help small economies that can’t decarbonize without some help. A picture is worth a thousand words on Twitter. Send pictures that help people understand that the debate isn’t just whether to buy a pickup truck or a Tesla in prosperous America. It’s between chopping down the last tree in the last forest and having plentiful power, clean water, and a vibrant economy. 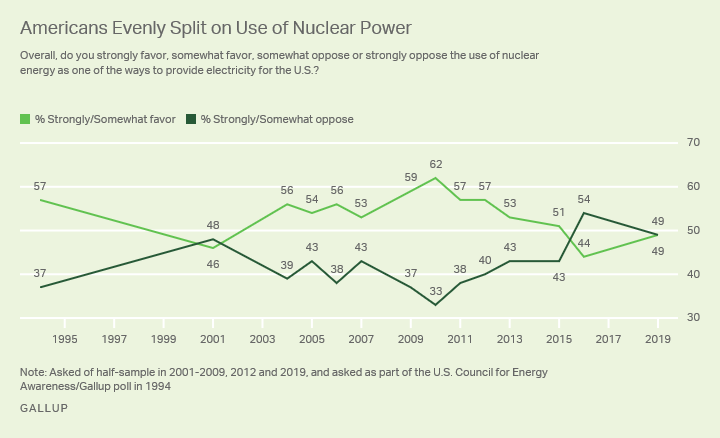 Author ScottPosted on April 9, 2019 April 9, 2019 Categories UncategorizedLeave a comment on How Can I Support the #GreenNuclearDeal? If you just clicked an ad for help with the LSAT and found yourself here, you’re at the right place! I am a retired Harvard lawyer. I love my little farm in the mountains, but I also love law, logic, and motivated learners–which makes online LSAT tutoring just right for me. Based on ratings and reviews, my tutoring has been just right for hundreds of satisfied students, too. Click here for $200 of FREE LSAT tutoring now! Questions? Leave a comment below and I’ll do my best to answer them! I love teaching logic games, but I don’t get to do it anywhere near as much as I would like. That is because J.Y. Ping has created one of the Seven Wonders of the Internet and put it up at 7Sage.com for FREE. With FREE video explanations of every LSAT logic game ever published, I limit myself to teaching my students the basics and then show them how to learn the most from the best… for free. The goal of this fun, free, easy, efficient study method is to transform your logic game experience. I want you to discover that you can do a simple logic game much faster than you imagine. Most of my students see their “easy” game times cut in half, and the skills you will gain as you achieve this goal are perfectly applicable to the harder games. Pick an “easy” logic game (that you own) from this list at 7Sage.com. Make at least three copies of it. Do the game and time yourself. (Let’s say you complete it in 9:37). Go watch the video explanation of that game at 7Sage.com. Pause the video often and write down everything J.Y. Ping does that you didn’t do. If you use flashcards, you either have a card that addresses this situation or you don’t. If you have an appropriate card (i.e., “link duplicated entities”), then put a hash mark on it to indicate that you missed an opportunity to use it. If you don’t have a card that covers this situation yet, create one. Do the game again, use your stopwatch to time every step. How long does it take to draw your initial sketch? Code the rules? Make your initial deductions? Do each question? Study those times. Did J.Y. do any of those steps significantly faster than you did? Go back to your notes (or the video) to see exactly what he did that was different from your approach. Make plans to do that particular step or question the fast way on your next (and final) attempt. Do the game one last time and get a final time (let’s say, 6:02). The difference between your initial and final times is a measure of what you could do if you had made every right choice at every step of the game. Pick a new game at the same difficulty level and repeat the process until the difference between your start and finish times is under one minute. Pick a new game at the next difficulty level and repeat the process until test day! The secret of this study method is that there really are not all that many tricks to the “easy” games. If you will take notes, create flashcards, and learn as much as possible from each game, your initial times will get significantly faster. That’s because you will be making the right choice the first time you do the game (because you learned how!) instead of after you see J.Y. do it. I urge students to work on “easy” games until the difference between their initial and final times is under one minute. At that point, you should be making (almost) all the right choices the first time you see the game. Most of these right choices will apply to games at the next level of difficulty, so bump your game difficulty up a level and continue! Dolly S. was the student who shared the magic moment with me. 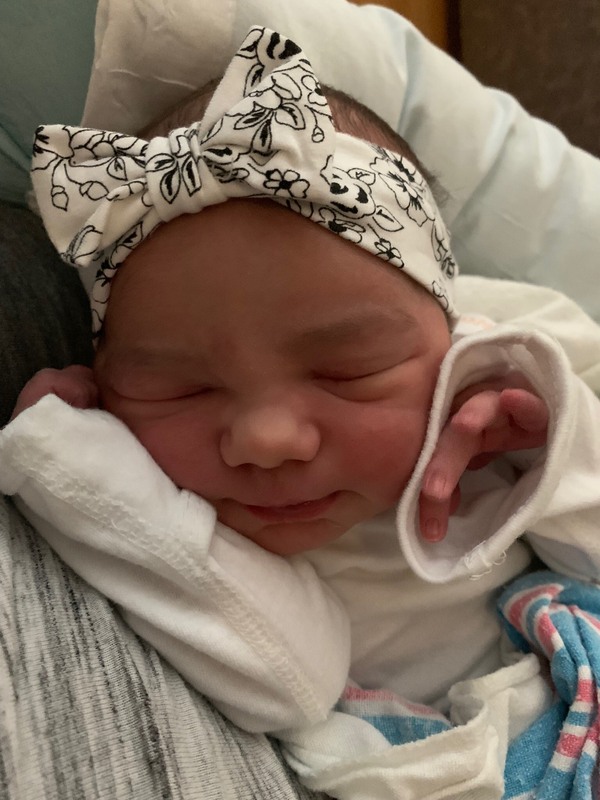 Baby girl named Honor Wyzga (unless somebody changed the chosen name and hasn’t told me about it yet) was delivered around 3:10 pm EST on November 9, 2018. Thanks to all the students who cheered us on through this long week of “Baby Watch”! Author ScottPosted on November 9, 2018 November 10, 2018 Categories UncategorizedLeave a comment on Baby is Born! Aristotle worked out almost all of the rules of categorical reasoning more than 2300 years ago, and logic students for the last two millenia have been learning how to apply them. Since the Law School Aptitude Test is primarily a test of logical reasoning, these rules may be able to help law students, too. This post is for students who know the basics of categorical reasoning and want to learn how to use Aristotle’s tools to do better on the LSAT. There must be exactly three terms, each of which is used in the same sense. The middle term must be distributed in at least one premise. If a term is distributed in the conclusion, it must be distributed in at least one premise. No argument may have two negative premises. If an argument has a negative premise, it must have a negative conclusion. If an argument has two universal premises, it cannot have a particular conclusion. Applying our rules to what we have so far, one of our premises must be positive and the other must be negative. The conclusion is an “E” type statement (“No S is P”), which means that both the major and minor terms are distributed in the conclusion. That means they must also be distributed in at least one premise. The middle term must also be distributed. Thus, every term must be distributed. Do we have an answer that says, “No Executive Administrator has a felony conviction”? Unfortunately, no. That doesn’t mean we’re wrong in our analysis–just that there’s more information in the stimulus. The stimulus tells us that “no one with a felony conviction can be appointed to the executive board.” That gets us very close to the answer we need! Answer Choice B says, “Only candidates eligible for appointment to the executive board can be accepted for the position of Executive Administrator. When we combine that with “no one with a felony conviction can be appointed to the executive board,” we get “No Executive Administrator has a felony conviction.” Answer Choice B is the correct answer. experience complications from the influenza virus. different strain of the virus. Looking at our stimulus, we see that “each year’s vaccination will protect only against the strain of the influenza virus deemed most likely to be prevalent that year.” Let’s plug that in as our middle term. Looking through the answers for “all vaccinations against the strain most likely to be prevalent are Different Vaccines,” we see “Each year the strain of influenza virus deemed most likely to be prevalent will be one that had not previously been deemed most likely to be prevalent.” That is the answer! affected by them are also right. Major premise: All Middle term are right actions. Minor premise: All actions that don’t affect aggregate well-being are Middle term. We have an affirmative conclusion, so we must have two affirmative premises. One statement in the stimulus says, “An action is morally wrong if and only if it would be reasonably expected to reduce the aggregate well-being of the people affected by it.” That is a double negative, of sorts–all actions that are NOT right actions are NOT actions that don’t affect aggregate well-being, and vice versa. Major premise: All actions that are not morally wrong are right actions. Minor premise: All actions that don’t affect aggregate well-being are actions that are not morally wrong. The conclusion is negative and distributes both terms. Since the middle term must also be distributed and we must have one and only one negative premise, we must distribute every term with one affirmative premise and one negative premise. The only way to do that is to have one A-type statement and one E-type statement. Answer choice C is a match for our major premise. QED! institutions are merely collections of people. Answer choice E is broad enough to include our major premise. That answer says, “The whole does not determine the properties of the things that comprise it.” That is certainly consistent with “No collections of people are things that make people evil,” and none of the other answers are anywhere close. That makes answer choice E our best bet. If you can do categorical syllogisms in your sleep, using Aristotle’s rules would appear to provide a fairly reliable way to analyze sufficient assumption questions. That doesn’t mean that this is faster or better than other techniques! Countless successful students prove that people can see significant and sustained improvement on the LSAT over time. That’s great for them, but how can you get such results? Here is how I use index cards and the “blind review” process to help my students get the score they want. There are lots of LSAT prep materials (PowerScore, Kaplan, Princeton Review, etc.). which range from “brief but useless” to “overlong and overwhelming.” You can buy a 900 page book that is “guaranteed” to raise your score, but the book won’t actually help you until something in that book enables you to eliminate a wrong answer or choose a right answer. If you’re lucky, those 900 pages might contain thirty concrete and specific insights or techniques that consistently affect your score. I never require my students to buy any specific prep materials. I want them to make the most of whatever they start with, whether they come to me with the LSAC “SuperPrep” or the entire PowerScore LSAT Bible Trilogy. Instead, I help them figure out generally-applicable techniques that enable them to eliminate a particular wrong answer or identify a particular right answer, and write it out on my tutoring whiteboard in a format that would fit on an index card. At the end of each session, I expect them to save those whiteboards and copy out any new cards and add them to their personal card deck. Once you have some cards in your personal deck, I will ask you to do one logical reasoning section under time pressure. For students who are already scoring at or above the national average (152), that means under 35 minutes. I don’t put a specific time limit on students who are still scoring under 152, but I do have them time each individual question with a stopwatch. Once you complete that logical reasoning section under time pressure, don’t score it! You have completed the “testing” phase of the process, but you haven’t even started the “learning” phase. The next step is to “blind review” each question, using your personal card deck. Let’s walk through that process, using Section 2 of the June 2007 LSAT (which is the only test that the LSAC makes generally available). the main conclusion of the economist’s argument? Process: Do I have an index card for this? No, I don’t, because I usually get main point questions right. Looking at my test paper, I see that I originally underlined the phrase “not all efforts to increase productivity are beneficial” because it looked like the conclusion to me. I know that the conclusion is the phrase that everything else in the paragraph supports, and that’s true here. The answer I chose was B, which says,”Some measures to increase productivity fail to be beneficial.” I’m pretty sure that “Not all are” is logically identical to “Some are not,” so I’ll stick with my original answer. Since I double-checked my reasoning, I’m going to take my ball-point pen and draw a blue circle around the black pencil circle I started with. Process: Parallel flaw–let’s see, I do have an index card for this one. Parallel flaw: read the stimulus and see if you can spot the flaw. If you can see it now, you can do it now. If you can’t see the flaw, this will take longer than any other question and you’re still likely to get it wrong. Save it for last! If you still haven’t seen the flaw, read the answers CAREFULLY. One of them has the hint you need. Well, that’s good–because I couldn’t see the flaw with the clock ticking and I still can’t see it. Let’s look at the answers for hints. Nothing in A… B is interesting. If I mix something extremely toxic (like arsenic) with something non-toxic (like water), I’ll bet it’s still extremely toxic, not “moderately toxic.” That’s sort of like the stimulus–breeding a dog that barks a lot with a dog that doesn’t bark won’t necessarily give you a moderate barker. Let’s circle B with the blue pen. Since this card seems to have actually helped me here, let’s put a little tick mark in the top right corner of the card. Process: This looks like some kind of inference. I have a card for that. 2. Could the opposite of that answer ever happen? 3. Reread the stimulus–if the answer you picked CAN’T BE FALSE, you’re right! 4. Avoid answers that COULD BE TRUE, answers which reference something you have no information about, and answers which are EXPLANATIONS of the stimulus rather than DEDUCTIONS from it. Process: Flaw! OK, there’s a card for every different answer to a flaw question. Let’s look at these answers. A talks about bias. I have a card on this. This is a specific form of the more general ad hominem fallacy, which attacks the person rather than the argument. Bias may show that a witness is unreliable, but it does not prove that the witness is lying. Any conclusion that says the opposite of what the biased witness says is flawed. Let’s see–answer choice A starts with the phrase, “treats evidence that there is an apparent bias.” Yes, the stimulus does do that. It goes on “as evidence that the Connorly Report’s claims are false. Yes, it does that, too. Looks like a perfect example of an ad hominem fallacy, which is what I though the first time. Keep the pencil circle around A–I’m so sure of this one that I’m not going to put a blue circle around it. one of the following is assumed? Does the question include words like “rely,” “depends”? Necessary. OK, it does say “if” in the question. “If I assume, the conclusion follows.” Looks like it’s a sufficient assumption. (Add a tick mark to this card.) Now, I know I have another card about that. 1. Find the conclusion. Look for a new term. It MUST BE in the correct answer. 2. Find any term that appears both in the conclusion and a premise. It should not be in the correct answer. 3. There should not be any brand new term in the correct answer–only something that has already appeared in at least one premise. With MBT, MSS, MBF: the ANSWER can’t be false. With SA, PSA: the CONCLUSION can’t be false if you pick the right answer. Questions 7-25… repeat this process until you finish the section. When you (finally!) finish blind reviewing that last question, you’re ready to score the section. I encourage all my students to set up a free account at 7Sage.com (which may well be the single most fabulous LSAT resource on the Internet). 7Sage makes it easy to bubble in your blind review results–there’s a black bubble for your initial answer, and then, if you click on the question number, another line of blue bubbles pops up so that you can add your blind review result. When you save and score your answers, you’ll see your score for that section (and the test as a whole). In addition. 7Sage will sort the questions into “very low priority,” “low priority,” “high priority,” and “very high priority” questions. The “very low priority” questions are those you got right the first time. For self-study purposes, these “very low” questions are unimportant. Since you already got it right, there’s nothing new to learn! The “low priority” questions, by contrast, are very important. You got this question wrong under time pressure, but got it right when you worked through it with your card deck. Go over these “low priority” questions and take another look at the card that helped you get it right. Ask yourself, “What could I do different next time so that I get this right while the clock is running?” You already know how to get this question right–now you need to get it right the first time. The “high priority” questions are also very important. If you have a card for this situation, it isn’t helping you yet. If you don’t have a card that helps you here, it’s time to get one! I ask my students to look over these high priority questions and flag the question on 7Sage if they can’t figure it out on their own. At our next tutoring session, we’ll use those flagged questions to figure out which generally-applicable insight or technique would help you get it right. Over time, we will build up an index card deck that enables you to get a blind review score that is consistently ten or fifteen points higher than your target score. At that point, you’re officially “playing with a full deck.” Then you’ll keep doing practice tests, using those cards over and over again until they’re second nature to you. You won’t be shuffling through your card deck on test day–it will be second nature to you. Can you see sustained and significant progress on the LSAT? Yes, you can! Many LSAT courses claim that students can expect a ten-point gain if they attend the classes, read the book, and do the homework. That’s great for students who (only) want a ten-point gain, and who do well in classroom settings. I get the ones who want more than ten points, or need more than a lecture format. I get the gifted students and the ones with special needs. Gaining ten points on the LSAT is good hard work, but it’s not that hard. It’s like running a five kilometer race (3.1 miles). Gaining twenty points on the LSAT is more like running a marathon. A realistic start–walk before you run! I don’t promise that you can improve 20 points if you spend 20 weeks preparing for the LSAT, but I firmly believe that the average young healthy human can finish a marathon if they really want to, and the average intelligent college graduate can score above average on the LSAT if they work at it the way marathon runners do. I can’t raise your LSAT score. Only you can do that; you do it by working and thinking. I can tell you how to work and how to think to raise you score more effectively. Author ScottPosted on April 9, 2018 Categories PreparationLeave a comment on What Am I Getting Myself Into?